A new exterior color called Deep Blue Pearl has been added to the 2016 Nissan 370Z coupe and convertible. The optional Bose sound system now incorporates active noise cancellation and active sound enhancement. Slotting below the GT-R supercar, the 2016 Nissan 370Z is a two-seat, rear-drive sports car available as a coupe or convertible. The 2016 370Z is powered by a 3.7-liter V-6 rated at 332 hp and 270 lb-ft of torque in the coupe and convertible, or 350 hp and 276 lb-ft in the 370Z Nismo. Transmissions include a six-speed manual or seven speed automatic gearbox. Fuel economy is slightly below average for the class with automatic coupes rated at 19/26 mpg city/highway while opting for the manual drops those numbers down to 18/26 mpg. The convertible is less efficient at 18/25 mpg with the automatic and 17/24 mpg with the manual. There’s ample seating for both driver and passenger but the sloping roofline on the coupe means that taller adults may find it lacking in headroom. Being a dedicated sports car means the 370Z, regardless of the body style, has little cargo space, with 6.9 cubic feet in the coupe and 4.2 cubic feet in the convertible. Safety features include front airbags, front-side airbags, and side curtain airbags. Convertibles also come with reinforced high-strength side-door guard beams, replacing the aluminum ones on the coupe. There are no available packages or standalone options in the 2016 370Z, only trim levels that come with a specific level of equipment. Standard features in the base model include keyless entry and start, automatic climate control, eight-way adjustable driver’s seats, leather-wrapped steering wheel, HID headlights, LED daytime running lights, and 18-inch alloy wheels. The Sport trim adds a limited-slip differential, 19-inch Rays forged alloy wheels, the SynchroRev Match feature on the manual gearbox, sport brakes, and a Bose audio system. Stepping up to the Sport Tech adds navigation and a rearview camera while Touring models add leather upholstery. Nismo variants come with the uprated motor, Nismo interior trim, Nismo aerodynamic exterior design, Nismo dual exhaust, Recaro sport seats with Alcantara insterts, Alcantara/leather steering wheel, and Nismo-tuned suspension. The range-topping Nismo Tech trim adds the same features found on the Sport Tech model to the base 370Z Nismo. Convertibles feature the same standard equipment as the base coupe, 370Z Touring convertibles have the same standard features as the 370Z Touring coupe. The range-topping Touring Sport trim in the convertible features the same equipment as the Sport Tech trim in the 370Z Coupe. 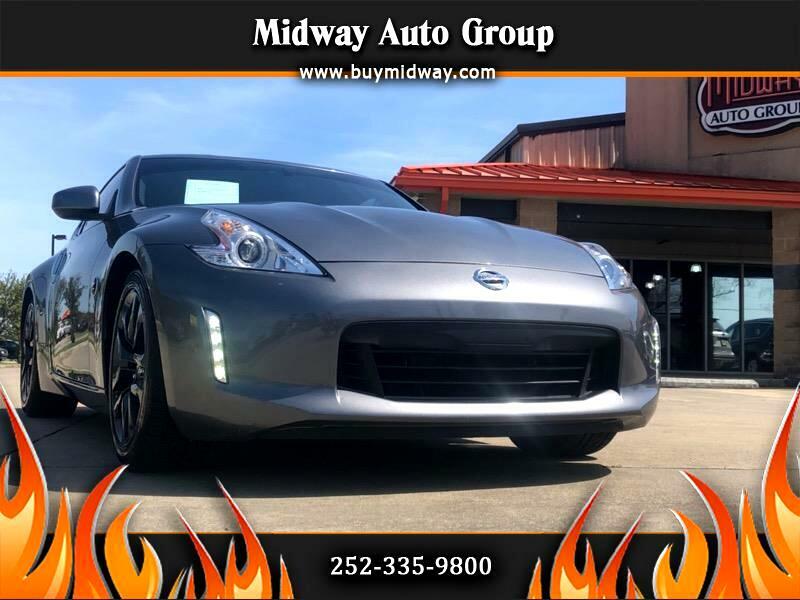 Even though this model has been around for years, the 2016 Nissan 370Z remains a decent choice among sports cars, offering a great combination of straight-line speed and agility. In a 2015 370Z Nismo First Test, we said that on the track and on a winding road, the car shines, offering plenty of performance to keep up with or outdo competitors like the Scion FR-S and Subaru BRZ; however, against newer entries, the car fell behind. Ride quality suffers due to the ultra-stiff suspension setup, which means every rough road surface was felt by the occupants. Additionally, the 370Z doesn’t offer much in terms of creature comforts and the cabin’s build quality isn’t up to par with the car’s as-tested price of $46,425 including destination.